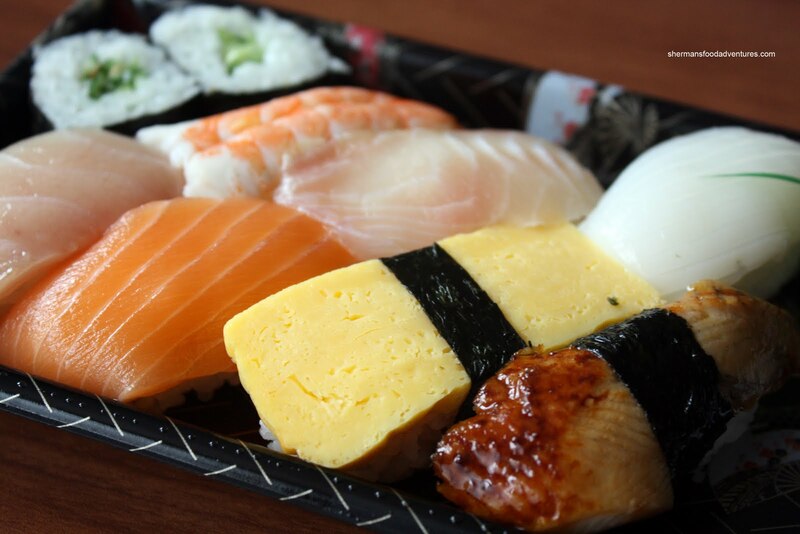 Normally, for most people, fresh sushi is a must. Considering that it is raw fish and rice, you wouldn't want it pre-made or sitting around too long. Think of it, both the fish and rice start to degrade and take on textures that are undesirable. Furthermore, I'm also pretty sure most people prefer freshly made Japanese food as well, such as donburi, gyoza, croquette and teriyaki. So if this is the case, why is Fujiya so darn popular? Well, the really low prices don't hurt. 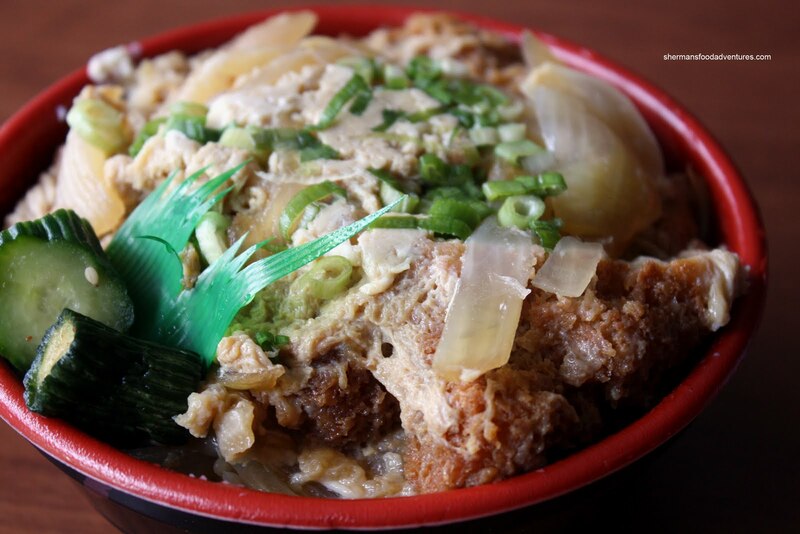 If a donburi only costs $3.95, there is not much complaining to be heard. Also, there are times (as few as they are) that someone might want to grab a quick bite that doesn't involve lining up where "smiles are free". Yup, fast food that is generally healthier and different than the usual burger or taco. Of course boxed pre-made sushi is never a first choice. For me, the rice just get all hard and gummy. With that being the case, it doesn't stop me from doing the occasional Fujiya run. Fujiya is actually a Japanese market the sells everything from dry goods to fresh fish. Yet, they are mostly known for their inexpensive sushi, bento boxes, donburi and other food items. The open display case is quite impressive and extensive. At this location, there is a small eating area at the front entrance complete with a microwave and TV. 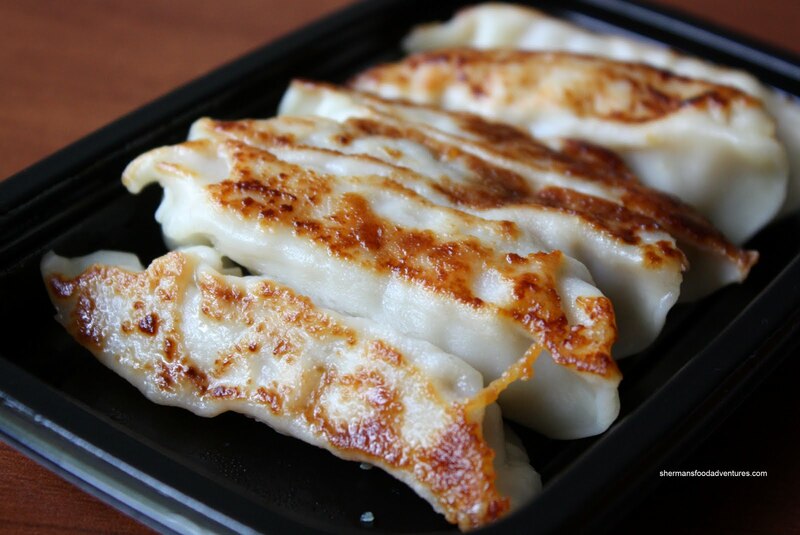 The microwave is essential for heating up the pre-packaged cold food. Too bad there is no way to revive the rice in their sushi... Oh well, the things you have to expect from premade sushi. So as expected, the Nigiri is only average due to the cold rice and equally stiff fish. However, the fish itself is pretty decent considering. 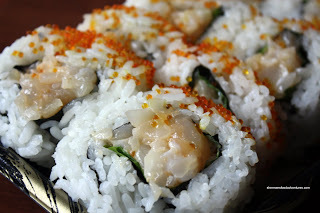 As for the Scallop & Tobiko Roll (and frankly all of their rolls), there is a liberal use of sushi rice. Furthermore, they are not the prettiest to look at. Once again, with tempered expectations, the rolls are alright. I must admit the rice does have decent flavour. I won't judge the texture too much since it is refrigerated, although it is chewy and not mushy. While I was perusing the sushi and other cooked food, I noticed that they had Japanese Curry. So I gave it a go. I'm not sure if it was due to being the bottom of the barrel (literally bottom of the pot); but the curry was very thick and lacking beef. I could count only 3 pieces. 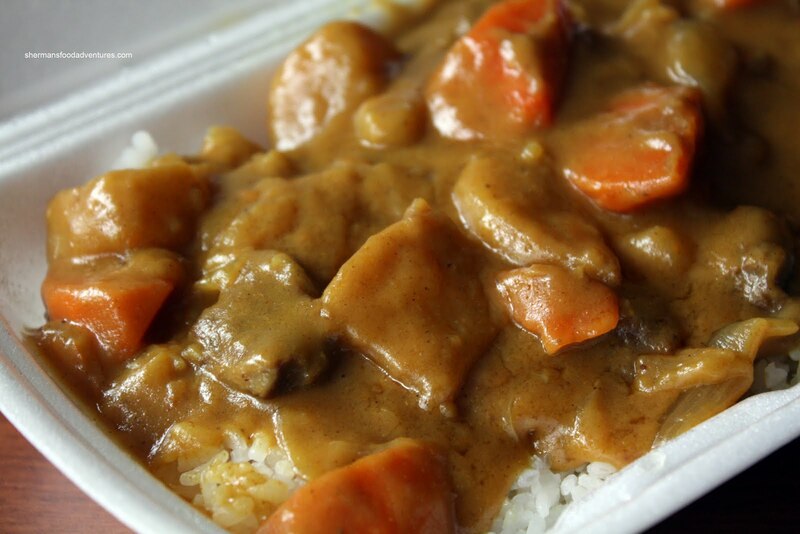 Flavourwise, Japanese curry is sweet rather than spicy. However, this one was very sweet. Again, not sure if it was because there was very little left. 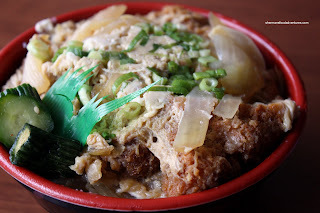 For $3.95, the Tonkatsu Don and Oyako Don are a good value. I know for that price, we should be a bit forgiving. In the case of tonkatsu, inevitably, it will be soggy if reheated. It was in this case and it will never be confused for the freshly made version. Once again, it's only $3.95 and for people who just want food to fill them up, it's a fabulous deal. Okay, probably one of the few things that could possibly pass off as fresh when reheated in the microwave are the Gyozas. Yah, the bottoms won't be crisp; however, it's close enough. T hese are pretty decent, with a relatively thin wrapper and light filling. And for the umpteenth time, for the price, there is not much to complain about. And honestly, that is the whole point of Fujiya. It is what it is. I'm personally not a huge fan of prepackaged Japanese food. In this case, it serves a purpose and is not really in competition with actual Japanese restaurants. I'll be taking a plane trip on Thursday and was planning to pick up a bento from Fujiya as I think it's an alternative to T & T bentos. It's an 8 hour flight to Hawaii. For the price, Fujiya is not bad; however, depending on which one, you might have more interesting options. In the case of the Venables location, well, it is located in the middle of nowhere, unless you go to Victoria Drive some blocks away. Holly, I actually think Fujiya is one of the better "premade" sushi places. Otherwise, you can always just pop by any decent sushi place and just get take out. Since you're going to the Airport, you can stop by Ajisai or Applause. Isn't it only a 6 hour flight to Hawaii? I guess you're taking a connecting flight out of Seattle? Kim, exactly my sentiments. Not my first choice, but given what it is, it is better than other options. 6 hours? That's better than 8. Math is not my forte. Sherman, I recently tried Ajisai and ordered a few of the same dishes that you had, It was delicious. My niece still raves about the incredible taste of their sushi. But I think it's a pricier option and I'm not sure I want sushi because I don't think it travels well. Thanks for all your input though. I think one of the most interesting things at Fujiya is that they have deep fried stuff (such as tonkatsu) in the deli section that they will fry on order. Maybe that's not great for picnics / workday lunches, but if you take it straight home, it would be a tasty meal with no deep-frying at home required. Izumiya is a tiny Japanese market tucked away in Richmond. They've also got a great selection of ready-to-eat food. Their onigiri is probably some of the best I've ever had. When I went to school in Richmond, I would be able to buy a nice lunch for about $6. Its a great little place. @ Holly: so glad you tried Ajisai. They really are second-to-none regardless of their prices. @ Sherman: different strokes for different folks. I've never liked the pre-made foods at Fujiya (Venables store). I have bought their raw fish and seafood in the past when I had sushi parties at home. Thanks for the suggestions Karuko and LR! Yah, honestly, I'm not a huge fan of Fujiya myself. However, there are a few times a year I get stuff from there. Fair review. I enjoy going there, it is not bad, but not great either. I'm a fan of Fujiya and note your comment about refridgerated Sushi. You didn't notice that the bottom of the trays from the display cooler are warm? They look to be in a cooler but that's deceiving. Hey Aftoy, I actually like Fujiya in it's own ways. It is what it is. Now for the refrigerated displays, I find it hard to believe it is warm. You see, that would be in complete violation of the Vancouver Coastal Health codes where raw food needs to be kept below 4 degrees Celsius at all times. So yes, it is refrigerated sushi or there is some health code violation. Now if you referring to the cooked food, I wasn't necessarily talking about that. With that being said, that would be in violation as well since it cannot sit there without being refrigerated at 4 degrees Celsius or kept heated at 60 degrees Celsius. I agree with your observation re:Health code. The sushi trays I picked up that day may have been just put in to the display case. 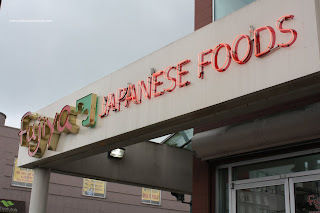 I visit Vanc every couple of months, so next trip I'll make a point to stop at Fujiya.